Qatar is facing a severe economic and diplomatic boycott by Saudi Arabia and its regional allies who cut ties last week, accusing it of funding terrorist groups, a charge Doha denies. Doha: A $12 billion deal to buy Boeing F-15 US fighter jets shows Qatar has deep-rooted support from Washington, a Qatari official said on Thursday, adding that its rift with some other Arab states had not hurt the US relationship with Doha. US President Donald Trump has repeatedly echoed the accusations against Qatar, even as his Defense and State Departments have tried to remain neutral in the dispute among key allies. Qatar is home to the headquarters for U.S. air forces in the Middle East. On Wednesday US Defense Secretary Jim Mattis signed the previously-approved warplane deal with Qatari Minister of State for Defence Affairs Khalid al-Attiyah. Qatar's ambassador to the United States, Meshal Hamad al-Thani, posted a picture of the signing ceremony on Twitter. A Qatari defence ministry source said the deal was for 36 jets. 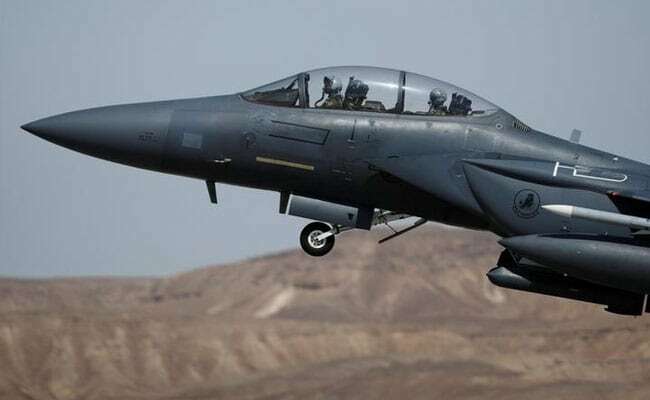 In November, under the administration of Barack Obama, the United States approved a possible sale of up to 72 F-15QA aircraft to Qatar for $21.1 billion. Boeing, the prime contractor on the sale, declined to comment. "Presumably the US could have delayed the deal if they'd wanted to, although I don't think there's a great connect between sales and foreign policy." Qatar is an important base for the U.S. military carrying out operations against Islamic State militants and other groups in Iraq, Syria, Afghanistan and beyond. Al Udeid Air Base in Qatar is home to more than 11,000 U.S. and coalition troops. Qatar's state news agency said on Wednesday that two U.S. warships arrived at Hamad port in Qatar as part of a planned joint military exercise involving marine forces. The Pentagon said the jets sale will increase security cooperation between the U.S. and Qatar and help them operate together. It added Mattis and Attiyah had also discussed the current state of operations against Islamic State and the importance of de-escalating tensions in the Gulf. Turkish Foreign Minister Mevlut Cavusoglu is expected in Kuwait on Thursday after completing a visit to Qatar, foreign ministry sources said, in his quest to help broker an end to the dispute. Kuwait has emerged as the main mediator in the crisis. Turkey has backed Qatar in the crisis and President Tayyip Erdogan's spokesman said on Wednesday the rift was damaging the Islamic world and Ankara would do all it could by diplomatic channels to prevent any escalation.